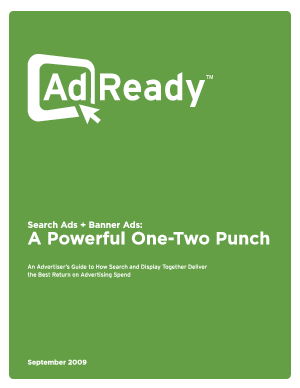 This white paper summarizes recent studies that demonstrate the value of online display advertising, and how search and display advertising used together can drive sales more effectively than either channel by itself. Search and display advertising together boost click-through rates by 22 percent on average, and they boost onsite engagement and both online and offline purchasing. Display ads also offer advantages that search cannot, including the ability to build brand awareness, scale with growth, and reach new customers when they aren't actively searching-which is about 95% of the time.